Antonio met us promptly and gave us great advice about what to see. Loved having Netflix. Very handy to old town, but quiet at night. Unique property - an old bodegas which has been refurbished into apartments. The apartment was bright and sunny, very spacious for two people, high ceilings, very comfortable bed, great shower etc etc. Nicely fitted out (I disagree with a previous reveiwer who complained it isn’t a traditional fit out. The fit out is modern but lovely, very functional, very comfortable and suits the space nicely. And anyway, the booking.com photos are very accurate so I don’t see how you could not know when booking.) Antonio and Rosa were lovely, gave us a map and some helpful info about places to visit. I was a bit concerned when booking that it was a bit far from the heart of town, but actually it’s only five minutes walk from the cathedral, and being in a neighbourhood instead of the commercial part of town we really enjoyed just wandering around the neighbourhood. 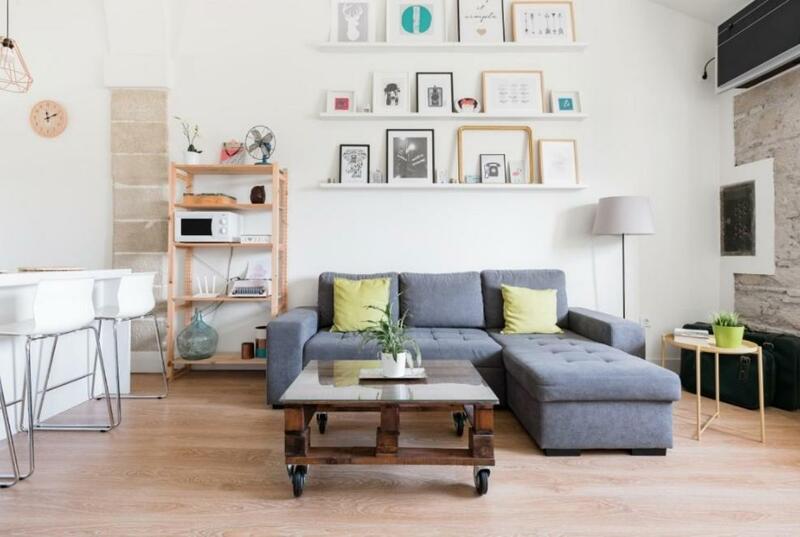 Roomy & clean loft with super high ceilings. Helpful hosts. Perfectly equipped, nicely decorated, very comfortable. Very good appartment, equipped with everything we needed. Nice contact wth owner. 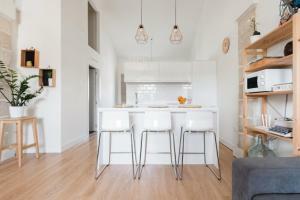 One of the finest, modern apartments we have ever stayed in. Bright and spacious, with all the facilities needed for our stay. 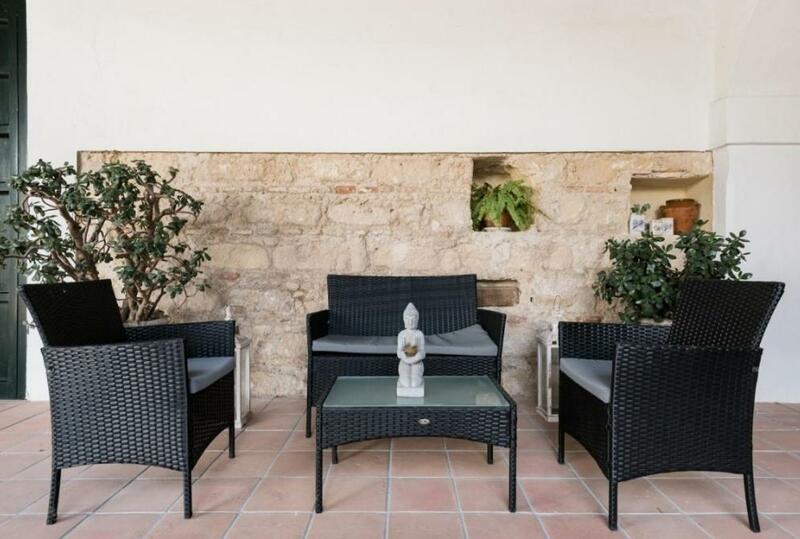 There is a pretty outside courtyard with seating areas for each apartment. The host Antonio was a gentleman, he met us with the keys, came back with cold drinks for us, which was much appreciated as we had just walked from the train station in beautiful sunshine. There was plenty of tourist information to hand in the apartment and Antonio also suggested places to visit and restaurants. We only stayed for two days but would definitely like to come back as we have not done everything we wanted to. Places near by worthwhile of a visit would be the bodegas, cathedral and Alcazar. 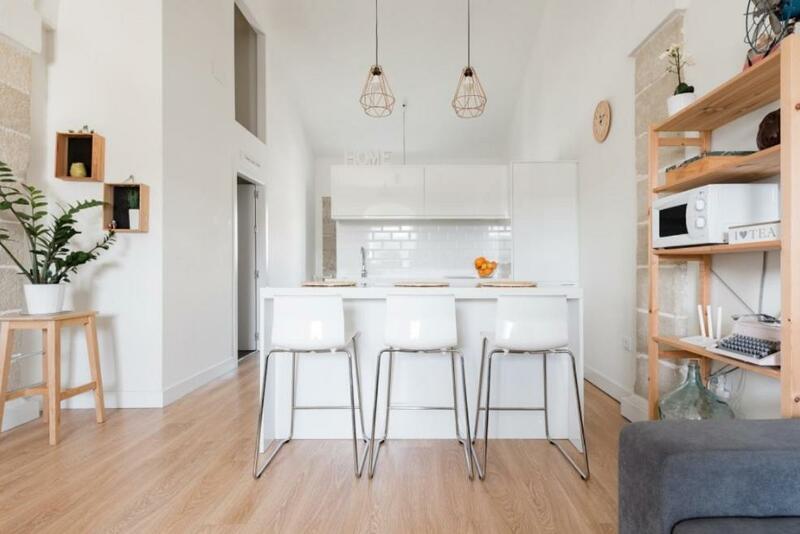 A very stylish, light, airy, comfortable and well-equipped apartment - sympathetically converted from an old bodega and with beautiful decoration. 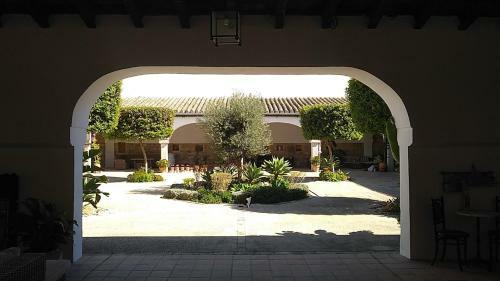 Very peaceful location - overlooking a huge central 'patio' with plants and trees and on a quiet street with almost no passing traffic, yet a few minutes' walk to the centre and right next to the sherry bodegas. A very friendly host who was there to welcome us as arranged. Excellent value for money. It is a beautifully renovated flat in what used to be a sherry bodega. Everything is brand new and it is tastefully decorated, we particularly liked the thick stone walls, high ceilings and arches. It was lovely being in the old part of town which is absolutely charming, surrounded by bodegas, we had the Fundador Domeq next door and Tio Pepe, just around the corner. It really gave you a feel of what Jerez was like in its heyday and as you walked down the narrow streets just outside the apartment, you could even smell the sherry in the barrels as the day got hotter. The cathedral which is a very impressive building was a 5 min walk away and the Alcazar, just behind was 10 min away on foot. There was a very good bus service to the modern part of town (it is too far to walk) and luckily the bus stop was just at the end of our street. Lock in a great price for Azahar Apartments Bodega San Blas – rated 9.5 by recent guests! One of our best sellers in Jerez de la Frontera! 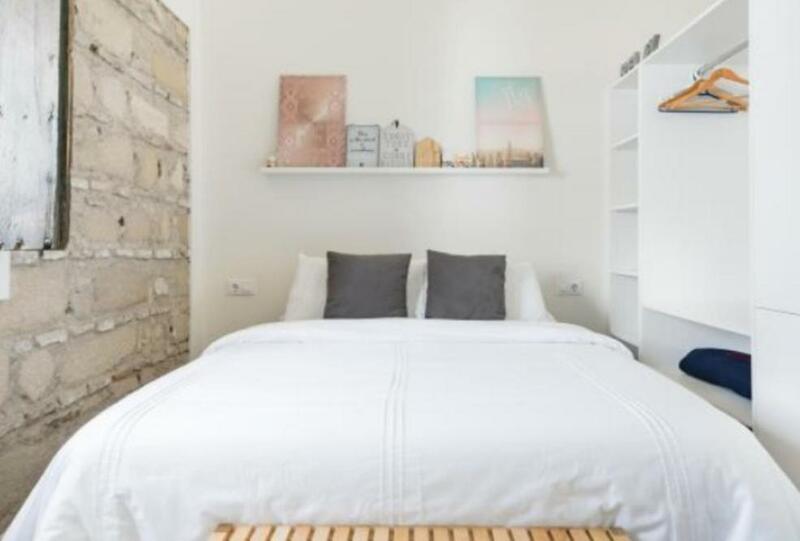 Located a 2-minute walk from Plaza del Mercado and 1,800 feet from Jerez Cathedral, Azahar Apartments Bodega San Blas offers accommodations with a kitchen in Jerez de la Frontera. This apartment has air-conditioned accommodations with a patio and free WiFi. Villamarta Theatre is 1.3 miles from the apartment, while Circuito de Jerez is 8 miles away. Jerez Airport is 8 miles from the property. When would you like to stay at Azahar Apartments Bodega San Blas? 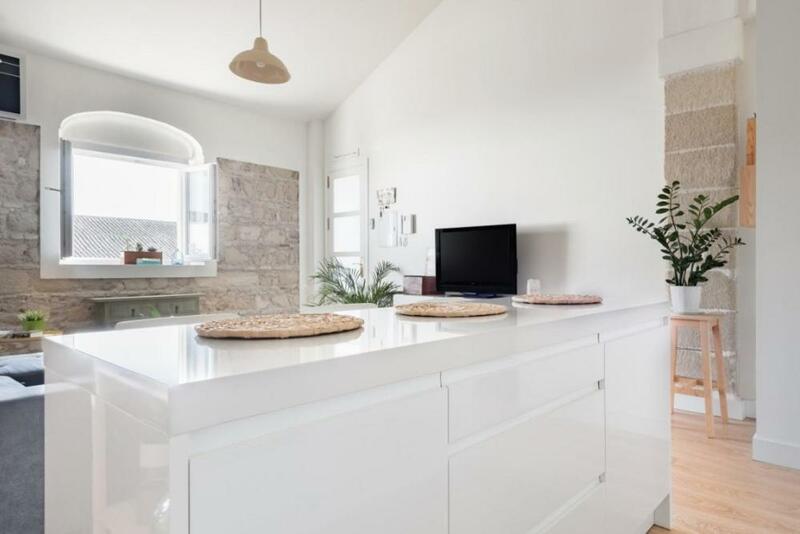 This apartment has a oven, kitchenware and flat-screen TV. The property features air conditioning and a flat-screen TV. Moderno Loft situado en una Antigua bodega Jerezana del S.XIX completamente rehabilitada. El alojamiento dispone de 1 dormitorio, baño, cocina y salón con sofá-cama doble. Es muy luminoso y tiene vistas al maravilloso patio porticado de la bodega. Decorado con mucho gusto, tiene A/A y calefacción, un smart TV de 43" con Netflix en el salón y cocina equipada con todo lo necesario para una estancia confortable. Los huéspedes que viajen en coche pueden aparcar gratis en los alrededores, recomendamos concretamente la Cuesta de la Chaparra por cercanía, seguridad y porque suele haber plazas libres. 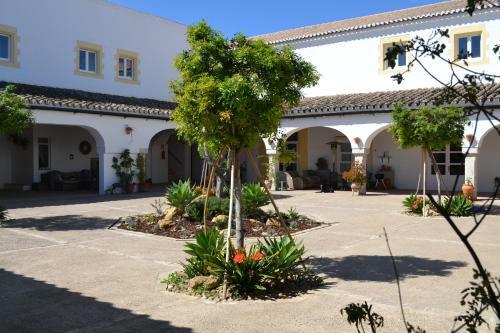 Apartamentos exclusivos en Jerez de la Frontera, cuna del flamenco, los caballos y el vino, tus mejores vacaciones. Situado en el barrio de San Mateo, el más antiguo de Jerez junto a las Bodegas Fundador de Domecq y a un paseo de la Plaza del Arenal, Alcázar y Bodegas González Byass Tío Pepe. House Rules Azahar Apartments Bodega San Blas takes special requests – add in the next step! Please inform Azahar Apartments Bodega San Blas of your expected arrival time in advance. You can use the Special Requests box when booking, or contact the property directly using the contact details in your confirmation. It would be handy to have bedside lights, so that one person could sleep while other read. Good location. Close to bodegas. Nice patio. Parking lot is approx. 100-200 meters away, but not an issue. The loft is situated in a former winery, right next to the Fundador. When creating the 14 lofts, owners managed to keep the winery's charm fully upright, e.g. by re-using elements like original heavy duty doors, as well as the lay out of the original building. The loft we rented was modern in design and accessories, very spacious, full comfort but still breathing the past even when just 6 months ago built. Well done ! Very friendly host, very service minded. There's a courtyard available to sit in shadow or sun at any time of the day. When you have a car with you, prepare to spend some time on finding a spot nearby (we managed, even on a Saturday evening, just be patient). The loft is at walking distance of the city center, not even a 10 minutes walk. Tip for the runners among you: Jerez has many cycling paths in the city centerr, which are excellent for doing a multi-kilometer inner city run. Would definitely recommend a stay at the facily, whether for 1 or 2 days ar for weeks. Irrelevant of age. Everything was fantastic! 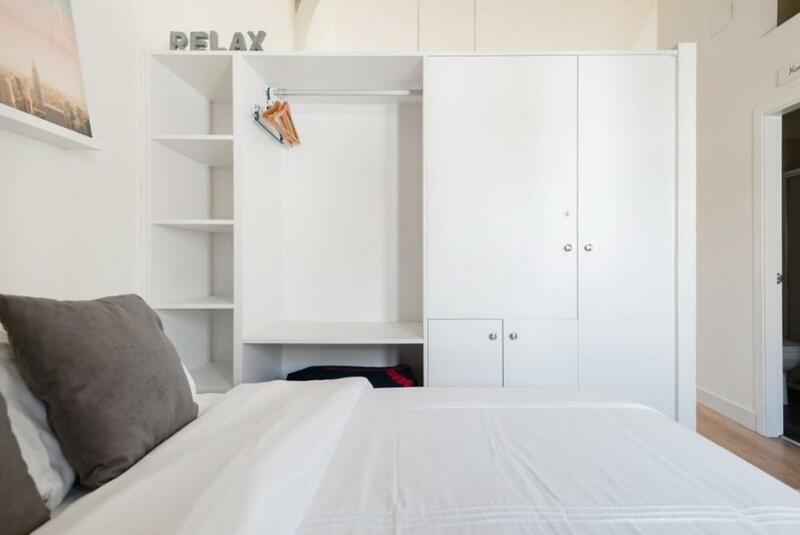 The only minor improvements would be adding a bedside lamp and mirror in the bedroom - and maybe a small bottle of water in the fridge as it's quite difficult to find a shop nearby. My only complaint was the lack of air conditioning when it was 31C outside ! Our host very kindly went out immediately and bought a fan, but it wasn't enough to cool things down. I paid 155 Euros a night for the flat (3 times the norm), but it is usual for ALL establishments in Jerez to triple their fees during the "Feria del Caballo". I DID expect for that amount of money that we would be guaranteed air conditioning !